Before we start do keep in mind that this process can brick your device and break it in irreparable ways. You have been warned. If it is recognised then move over to the next step. If not retrace your steps and rectify the mistakes. Hit install and swipe to confirm. Once done press reboot system button and you’re all set. If everything is successful move over to installing Magisk. If not then read along. If after Step 9 your phone didn’t go to the TWRP installer then your phone need to be put to the alternative slot due to the A/B partition on the Mi A1. to do this follow these steps. Open the powershell window by going to any folder and right clicking while holding shift. When completed follow the TWRP installation method from the above step again to install TWRP. 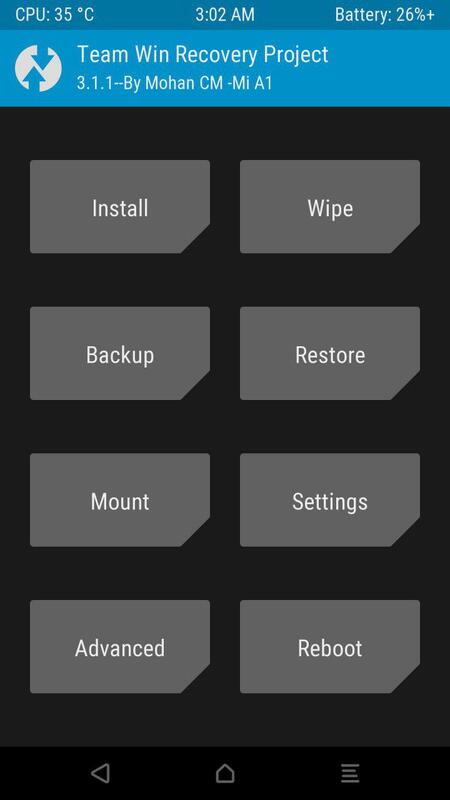 Switch off the phone and boot into TWRP by Holding the Volume Up and Power button together. Once done reboot to system and you will reboot back into the system and gain full root access. If you would prefer to root your phone using a different method then we also have the Super Su zip available for download from this link. Just flash it via TWRP recovery and you’re good to go! We hope this method help you get root access on your device and install TWRP on your device. If you face any problems do let us know down in the comments and we will try to help you out.